Double vinyl LP pressing. 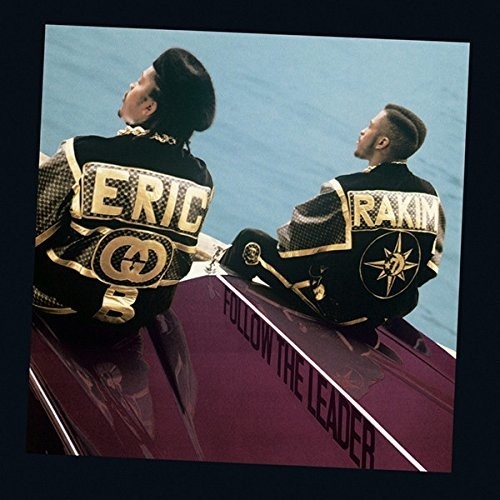 Follow the Leader is the second studio album by hip hop duo Eric B. & Rakim, following their debut album Paid in Full in 1987. The album produced four singles, but is best known for the title track "Follow the Leader", which peaked at #16 on the Hot Black Singles, #11 on the Hot Dance/Disco, and at number five on the Hot Dance Music/Maxi-Singles Sales chart. This will be the first time the album is available as 2LP format. Eric B. & Rakim formed in Long Island, New York, in 1986, composed of Eric B. (born Eric Barrier) and MC Rakim (born William Michael Griffin Jr.).